Quick straw poll: what are the five scariest games of all time? 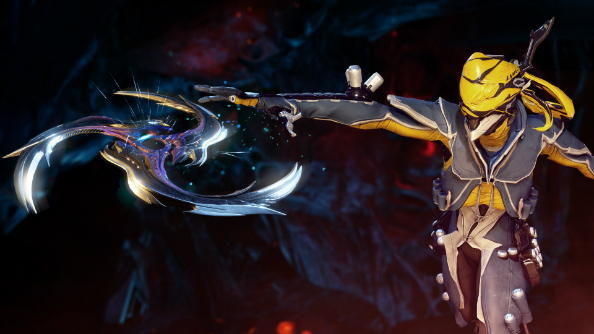 That’s right: it’s Warframe, Warframe, Warframe, Warframe and Warframe. There’s nothing scarier than our utter insignificance within the incomprehensible vastness of the universe, after all. However, developers Digital Extremes have had a go at upping the scares still further with new content to mark Halloween, going live from 3PM UK time today. Like your videogames to go easy on your wallet? You’ll like our best free PC games. 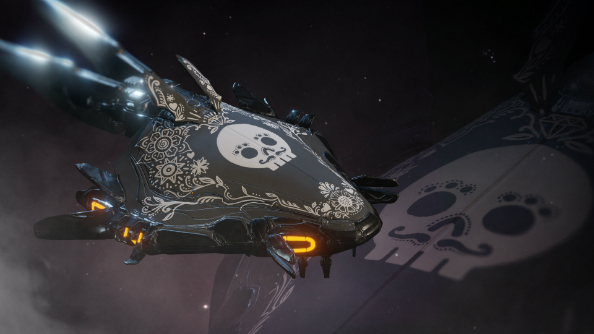 First off in the new content drop is a host of skins for weapons, capes and landing craft (pictured above), themed around the Mexican Day of the Dead celebrations. That’s what Halloween’s all about these days, isn’t it? Dressing up. And that’s fine and all. It’s just weird for us older folks who can remember the days when All Hallow’s eve was all about preparing a bloodfeast for the Bone Lord. Bearing the look of a particularly recklessly designed Aerobie Pro, the Cerata gives your enemies a taste of Infestation from afar, apparently. “Ancient strains of technocyte within the weapon make it a potent threat to armored targets,” reads the official literature. Last but not least is a special Halloween Tactical Alert mission, available from 12.00PM EDT on 30 October. Tecno players are up against the Vampire Lotus, Ancients with sawblades, and other foes. The spoils? Pumpkin loot caches, naturally. The event runs from Wednesday, October 28 at 11:00am EDT through Wednesday, November 4 at 11:00am EDT.